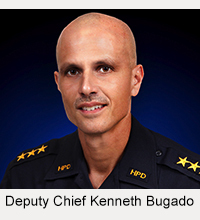 Police Chief Harry Kubojiri has again asked the Hawaiʻi Police Activities League (HI-PAL) program to reach out to intermediate schools islandwide to engage in a friendly competition to create a pledge against “ice” use. The winning pledge will be used and uttered by participants before the 32nd Annual Winter Basketball Classic being held December 26-29. The pledge must be short (three to five sentences), precise and to the point. It must include the phrase “Not Even Once,” which is part of the Hawaiʻi Meth Project’s message to Hawaiʻi’s youth. All interested intermediate school students are encouraged to submit a pledge submission along with their name, age, school and grade. Drop it off with the School Resource Officer at your intermediate school. Drop it off at the HI-PAL office in either Hilo or Kona. 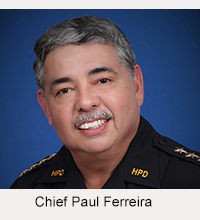 Mail it to: HI-PAL Program, c/o Hawaiʻi Police Dept., 349 Kapiʻolani Street, Hilo, HI 96720. The deadline for entries is Friday, December 14. For more information, please call Officer Joseph Botelho Jr. at 961-2220. A representative of the Hawaiʻi Police Department will recognize the winner during the Winter Basket Ball Classic’s “Skills Challenge” night on Thursday, December 27.